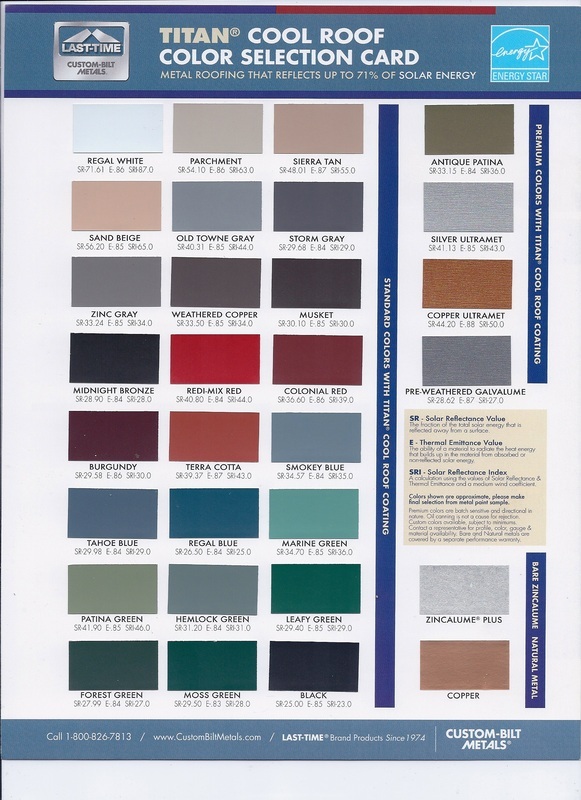 color chart - INTEGRITY METAL WORKS INC.
We have a wide range of colors to choose from. We also offer stainless, copper, primer, and galvanized, or just your standard brown, black, and white metal. The following are some of the color charts from companys we do business with to aid you in your color selections. If you would like a color sample, just call or email us and we will get one in the mail to you.